Today's Deal: Save 66% on The Elder Scrolls IV: Oblivion Game of the Year Edition! Today's Deal: Save 66% on The Elder Scrolls III: Morrowind® Game of the Year Edition! In celebration of the mega gaming event QUAKECON, save big on different games from id Software and Bethesda each day, now through August 6th at 10am Pacific Time. Today only, save 50% on The Elder Scrolls V: Skyrim and 66% off the previous Elder Scrolls titles! Or, pick up the massive QUAKECON Bundle, a collection of all released id and Bethesda titles for one low price! Pre-purchasers of Dishonored, the upcoming title from the acclaimed Arkane Studios, will also receive an additional discount on the QUAKECON Bundle! Weeklong Sale - Morrowind and Oblivion, 50% off! In celebration of the 10th Anniversary of The Elder Scrolls III: Morrowind, take 50% off Morrowind and Oblivion all week long on Steam*! The featured daily deal today is The Elder Scrolls IV: Oblivion Game of the Year at 75% off! 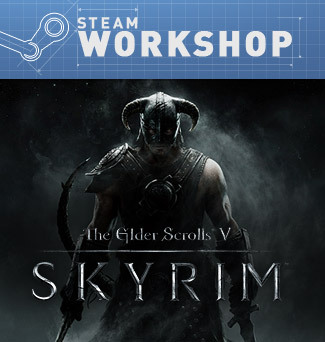 Bethesda Game Studios announced today that the PC version of The Elder Scrolls V: Skyrim will be using the Steam Workshop, making it possible for users to submit, browse, rate, and download mods for Skyrim through Steam. Bethesdas thriving modding community has been creating some of the most inventive, unique, and compelling user created content around. Were excited to be providing the framework to make distribution and consumption of this great content easier than ever. Midweek Madness - The Elder Scrolls IV: Oblivion, 75% off! Take 75% off The Elder Scrolls IV: Oblivion® on Steam, now until Thursday, November 17th at 4PM Pacific Time!